Botox is back at $6/unit for a limited time! Say goodbye to the signs of aging and wave hello to a fresh-faced summer you. Whether it’s your first time considering Botox or you’re a veteran, we deliver tasteful and effective results to each and every person who walks through our door. Banking option available (buy now at sale price, use any time). No minimum or maximum number of units. 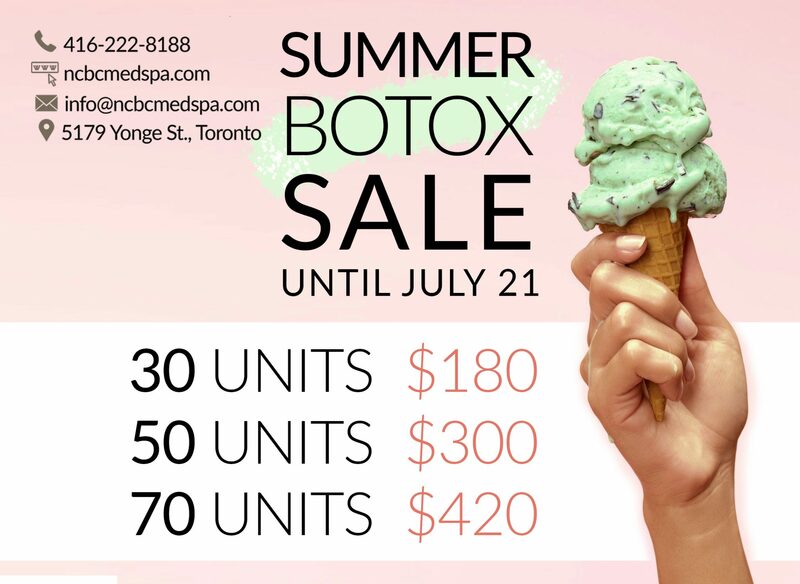 On now until July 21. Want to book your appointment now?